Today I am treating you with a cocktail recipe that I’ve had stuck up my sleeve for, say, 5 years now? I know, I’m so sorry I’ve been holding out on you. I’ve been wanting to share this for a while, and after coming across a super cute “Halloween twist” to put on canned lychees, I decided now would be a better time than ever. 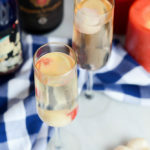 These sparkling wine cocktails materialized one night when my cousin and I were getting ready for a night out on the town in Honolulu. We LOVE lychee (please, please, please try it if you haven’t already, you can find canned lychee in the Asian section of most major grocery stores or, of course, on Amazon!) 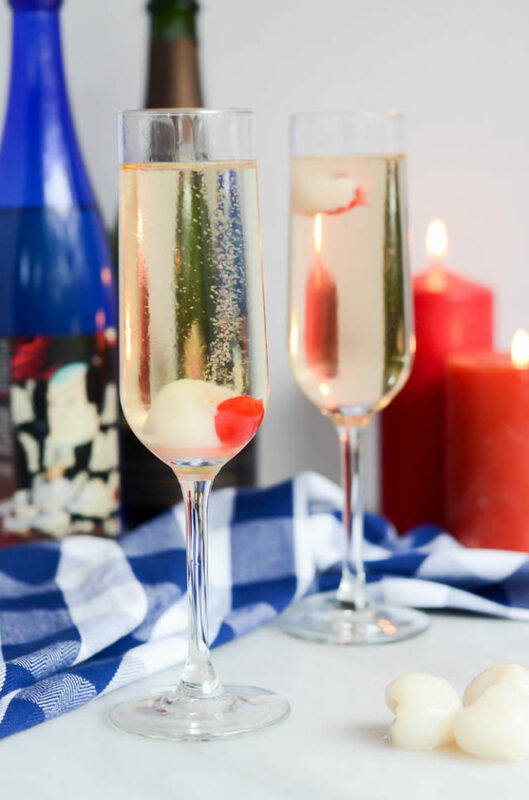 and we LOVE sparkling wine, and when we threw all of it together we couldn’t help but dance around the kitchen with excitement. It’s now a “must make” every time we get together. And I finally get to share it with you! This is the perfect drink for multiple occasions (or no occasion at all!) There are only 3 ingredients (well, four if you count the lychees and their juice as two) so it’s not one of those cocktails that you need a full bar to prepare. Do me a favor and whip these up for your next girl’s night or holiday party or, even better, for Halloween tomorrow night! Can you believe it’s already almost November? 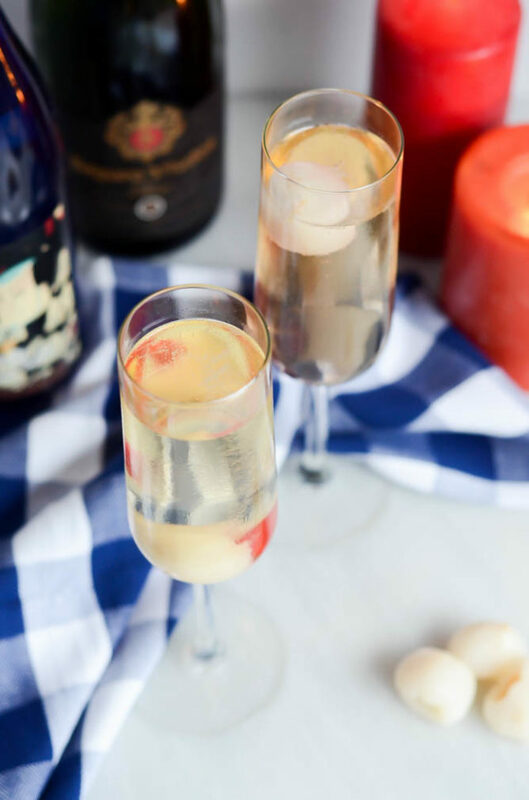 5 ounces sparkling wine this is our house sparkling wine, it works perfectly for this drink! 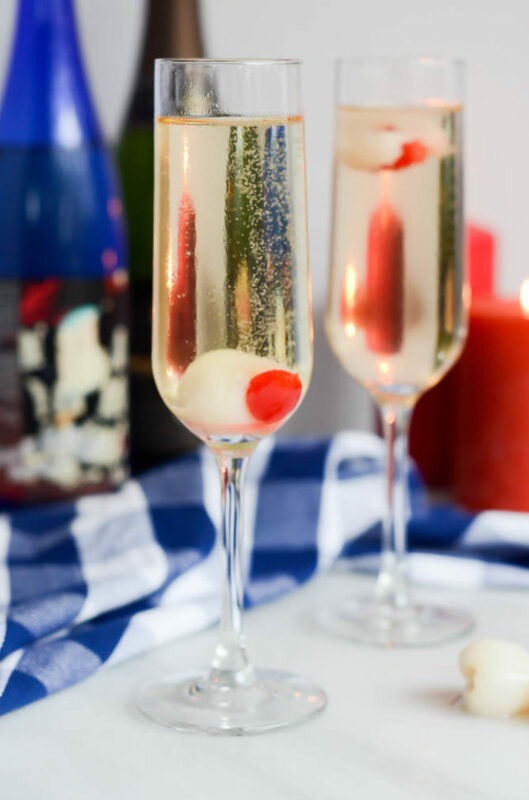 Add sake, then lychee juice, then sparkling wine to a champagne flute. Place maraschino cherry inside the lychee and drop into your drink. Enjoy!